This was a pastel portrait done for a friend of her grandson. It was a gift to her daughter and son-in-law as a Christmas gift. It was so enjoyable to do this awesome little boy, as he had the greatest impish smile! And as always, I learn so much from every portrait I paint. This made Christmas even more special! Meet Mason! 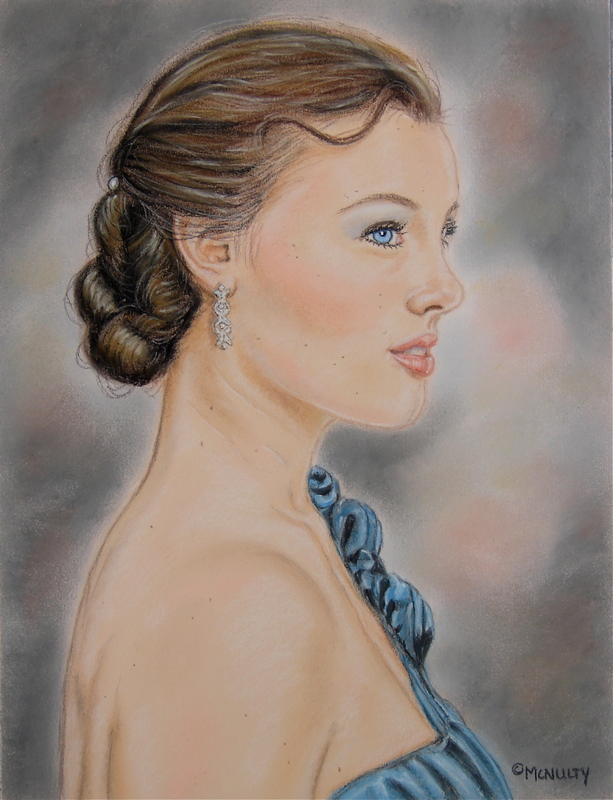 Here is a finished pastel portrait of my daughter, Caitlin. This was from one of her prom photos and I love the way she looks so elegant! She looks like she could be from the 1940’s era. Hope you like this one. Here is a song I just heard from Josh Groban and I love it. Since I heard it, I just keep singing this over and over in my head. This cd that this came from was given to me last year as a gift for Christmas and I just never really played it. I just brought it out to my car the other day as I went to pick up my daughter from school and instantly loved it, as I know you will. I think it could replace a few oldies that I’m tired of hearing at Christmas, like the two front teeth song…if you know what I mean. This has a nice Christmas feel to it and it stays with you. Enjoy!